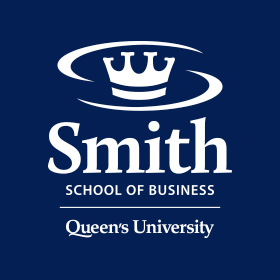 Kingston, ON - Oct. 30, 2014 – Earlier this month, Canadian Business ranked Queen’s full-time program as the top MBA in Canada. The Canadian Business “Top 10” focuses on value for money, citing “a big return on investment” as the key reason Queen’s MBA secured the No. 1 spot in the 2014 ranking. Kingston, ON – Oct. 29, 2014 - The 10th Annual Responsible Leadership Summit opened on Oct. 17 with an announcement of the new name of the Queen’s School of Business Centre for Responsible Leadership. Kingston, ON - October 23, 2014 – Donald R. Sobey and Rob Sobey have announced the creation of a scholarship to support MBA candidates from Atlantic Canada applying to study at Queen’s School of Business.